Laser Engraving is a well established process in heavy industry for marking and engraving tools, assets, products and many more. But it has only recently been adopted by start up business’ as a service to an end user and the general public. Laser engraving is a process which uses laser technology to engrave, cut or mark materials, using an intense beam of laser light. Traditionally, engraving was performed using a rotating cutter, which would score the surface of the material in order to create a surface mark. These types of engraving machines were typically precise to a 0.5 – 1mm accuracy range and the finest mark possible was limited to the size of the rotating cutter. The smaller the cutter, the slower the machine has to move, to prevent damage to the work piece and cutter. This is where laser engraving excels; The laser engraving machine does not physically touch the work piece, therefore the machine can work much quicker and truly be a consumable free machine. Laser engraving machines were typically one of two types, either CO2 or Fibre. The two types of laser sources mark and cut different material types. Until 2004 if you wanted to mark metal and engrave wood, you would need two separate machines. 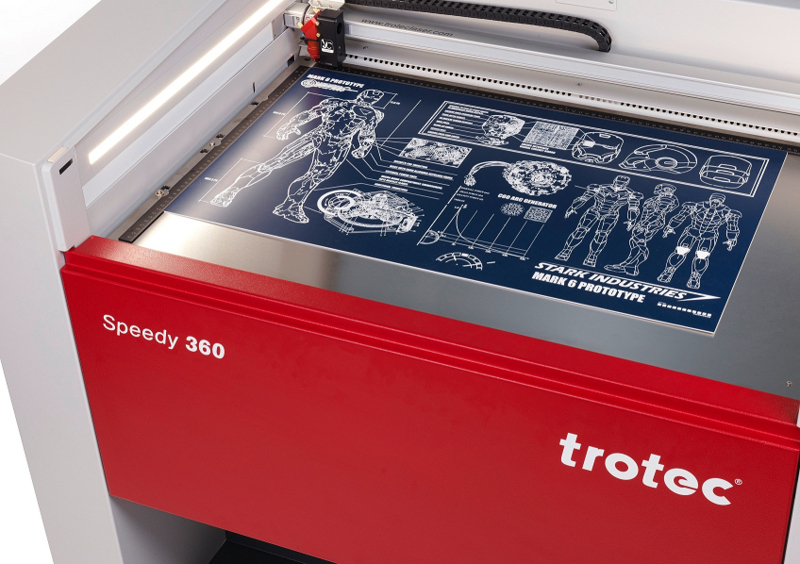 This was until Trotec’s Speedy range brought out a Flexx machine, which combines the two laser sources into the same machine. These machines have really paved the way for multi-material and multi-process engraving jobs. Having a machine like this in your business, you have the ability now to mark, cut, engrave or colour change any laserable material. If your competitors have limited themselves by only owning either a CO2 OR a fiber laser, by you having the ability to engrave any material gives you the upper hand. If you would like to read more about this topic CLICK HERE! 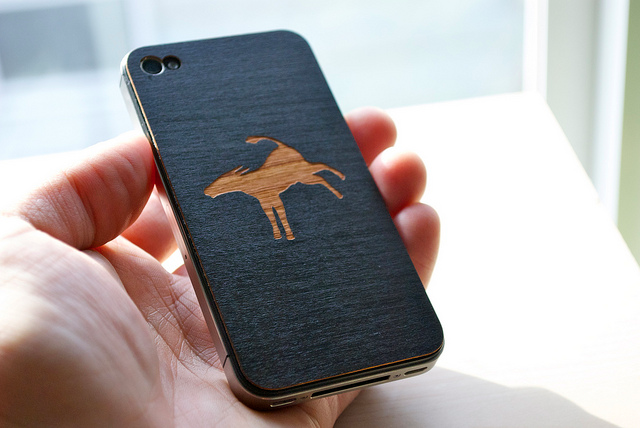 Another emerging trend in the laser engraving and marking industry is personalized products. The ability of personalizing a product for your end user adds value to the product you are selling. This ensures that local business’ can compete with offshore companies and give their customers a more unique product which is customized to them. Some market segments which this applies to are, Home Decor, Children’s gifts, Trinkets, Dog Tags, Corporate Giftware and many more. By using laser engraving technology in conjunction with personalization, you are able to add value to your products which could not be done as easily with any other marking technologies. Laser Engraving has allowed for many more materials to be processed than has ever been before. A typical Flexx laser would easily mark, cut or engrave materials like, Steel, Gold Aluminium, Brass, Wood, Paper, Cardboard, Foam, Coated Metals, Stone and many more. The fact that the lasering process does not physically touch the product, allows for small intricate products like Paper, Mylar, Stainless Steel Shims, Trolase thins and more to be processed very quickly and precisely without damaging the material. Lasers are also much cheaper from a return on investment point of view, than most other marking processes, as there are no consumable parts on a good quality laser system, such as the Trotec speedy range. Lasers are producing products that are 5-50+ times faster than conventional methods, this means higher throughput of work, therefore faster ROI. Many people like to compare lasers to a CNC router and think the ROI are the same, but sadly they are not. A laser will definitely out perform a CNC router in this case, to read more on this topic CLICK HERE. The beauty of laser technology is that there is still greater potential for the technology. Bigger and better things are made by laser operators around the world daily. Make your mark today!